A rather good opera company tucked away in Armidale. Who knew? Without inviting accusations of Sydney snobbery, I think I can safely state that opera performances are not exactly a frequent occurrence in Armidale, a rural town of some 24,473 inhabitants in northern NSW. This makes the sophomore production by local company Opera New England something of a big deal – and not just for the town’s inhabitants, but for all those who believe opera can, and should, flourish outside Australia’s state capitals. 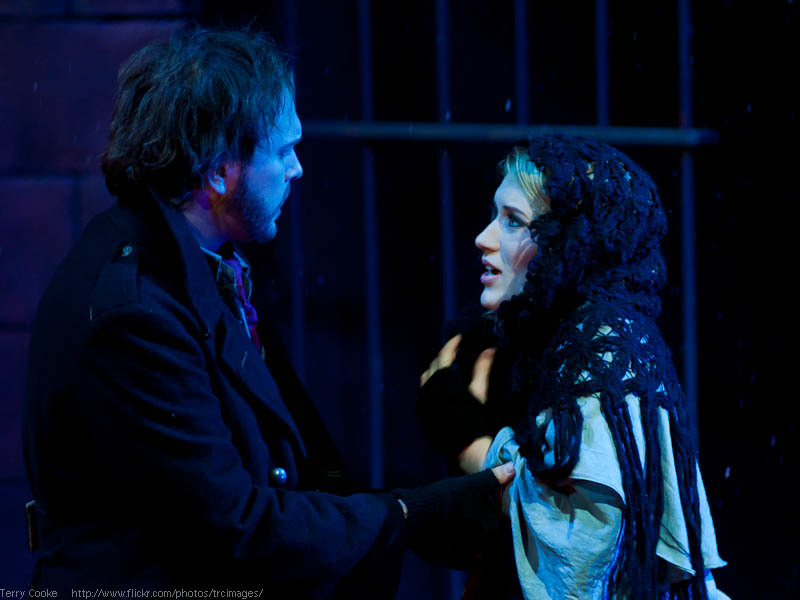 Puccini’s La Bohème was the ambitious choice of opera (following on a well-received debut with Figaro last year), and it demonstrated that even a grand Romantic blockbuster can be staged in a small theatre on a small budget. All you need is an engaged community, a dash of talent and plenty of hard yakka. The cast of this production was comprised of hopeful young singers from around Australia, and I’m guessing it took little effort for them to step into the roles of passionate young artists living on the smell of an oily canvas. Many of the voices were still works-in-progress, but all the singers were able to meet the challenges of the score, some brilliantly so. As the consumptive seamstress Mimì, recent Sydney Con graduate Sarah Toth gave an assured performance, her voice showing a promising warmth in the upper-middle of the register. Toth formed a very convincing couple with Melbourne-based tenor Daniel Todd, a natural actor who didn’t miss a nuance in conveying the emotional arc of poet and hero Rodolfo (although his penetrating, agile voice was perhaps not built for Verdi). A stand-out was the steely-toned Alex Sefton as Marcello, a young and – judging by how well he handled the baritone tessitura of this role – versatile bass, whose previous engagements include performing the role of Sarastro for OzOpera 182 times. Soprano Kathryn Williams also deserves mention for her showstopping turn in Act Two as a particularly languid Musetta. Equally impressive was the orchestra, a pared-down band of around 15 musicians, sourced mainly from the New England conservatorium and conducted, if I was not misinformed, by a local doctor. They scarcely missed a beat in accompanying singers who were probably not pampered with rehearsal time. And I was astonished how little opulence gets lost in translation when Puccini’s soundworld is reduced to just a few instruments. But first and foremost, plaudits must go to director and designer George Torbay, whose brilliantly simple raised set and effective direction gave the drama all the space it needed to sing out. The production values, including Deborah Hunter’s splendid costumes, were no less than you would expect from a fully professional, amply funded, opera company – which Opera New England is not, but probably deserves to be. In any case, if Bohème is an opera about living big on small means, then this company provides an apposite example of life imitating art (although I’m hoping their future is brighter than that of Mimì). Opera buffs might be advised to consider a road trip to Armidale for Opera New England’s next production, to be confirmed, in January 2015.